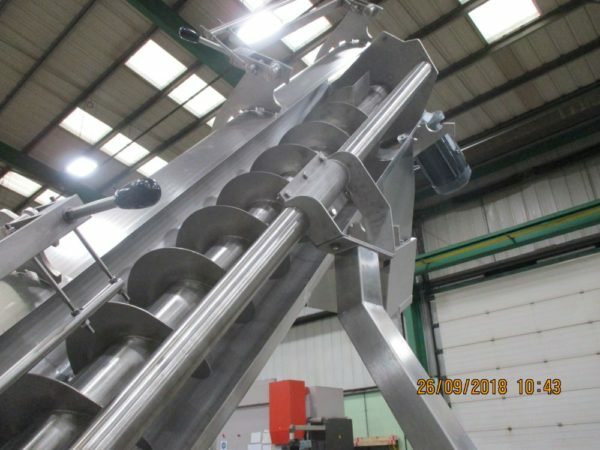 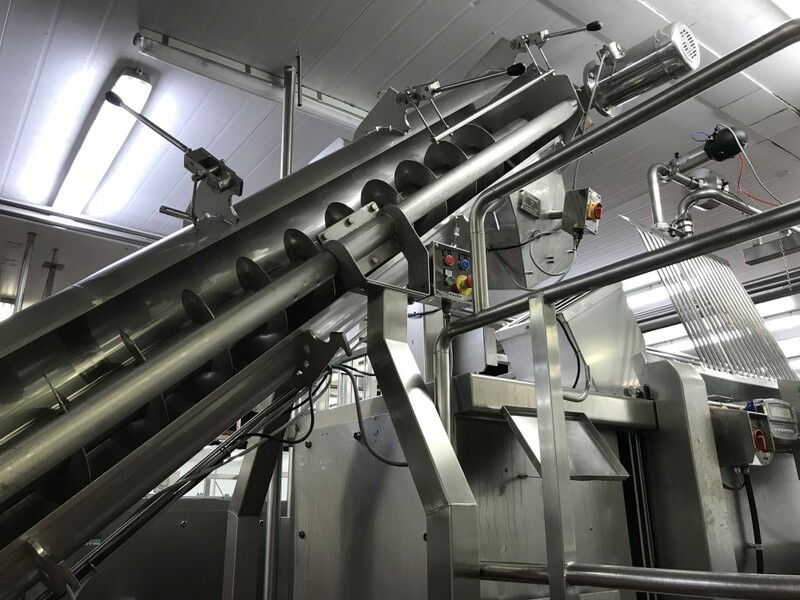 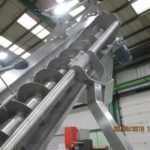 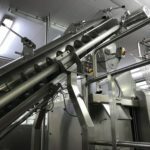 Our screw elevators guarantee spillage free elevating throughout the food processing plant and can be combined with features like multiple discharge, heating and cooling. 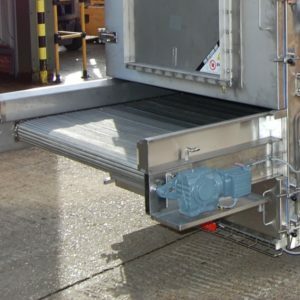 The elevators can also have single, double and multiple pitch screws incorporated. 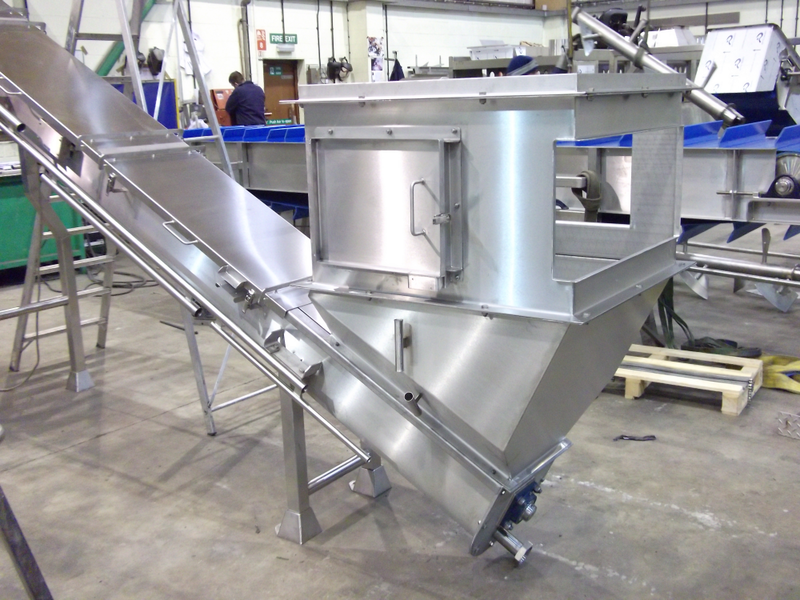 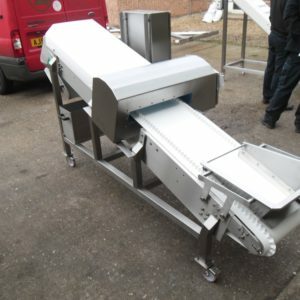 These elevators are suitable for granules, powders, pastes, mash, root vegetables and cereals. 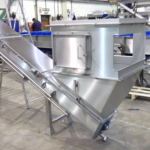 Dodman Ltd offer a bespoke solution to all elevating or lowerating problems. 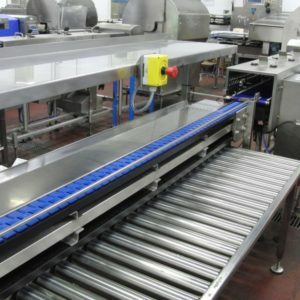 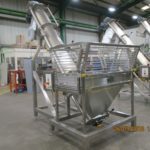 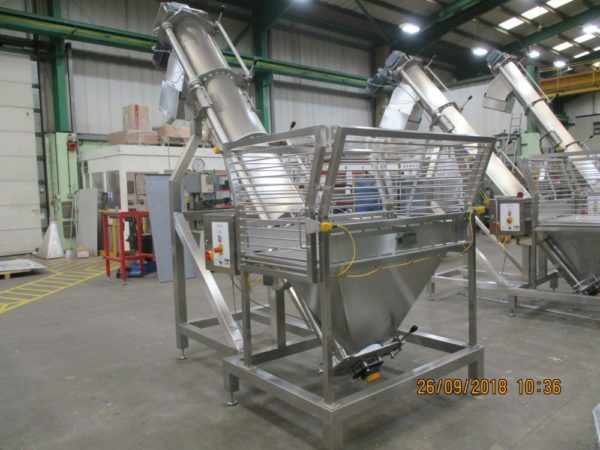 We can transfer products and ingredients from differing levels and heights in your production area at a controlled rate, using plastic modular or flat belts, complete with flights, cleats or fingers.